It's been a long while since my last wishlist, but by this time next week I'll be properly moved into my new place for my final year of uni. I can't stop scouring the shops and internet for gorgeous homeware because having a place of my own and being able to do it up is a god send, honestly. I've found that with getting older has come a new love of being independent. Being at home (the one with my family) is wonderful, I wouldn't change my home life for the world but the allure of personal space has got me in it's grip. There's nothing more novelty to me than being able to decorate a place exactly how I want it, making it a representation of me- somewhere I feel completely chill and at home. It's crazy how fast time has gone since the end of summer last year and how much has happened since. My tastes have definitely changed, my new house is smaller and more homely but beautiful and I can't wait to show you it in a home tour vlog when it's all unpacked! Half of my belongings are moved into my bedroom already but there's a few things I really wish I could squeeze into my budget right now that I thought I'd share with you! This faux deer fur throw looks SO gorgeous and fluffy, definitely a must for when the cold weather finally sets in and there's nothing to do but bundle up in blankets. I'd never purchase real fur so this is a great second, but is still a little costly at £34.99. 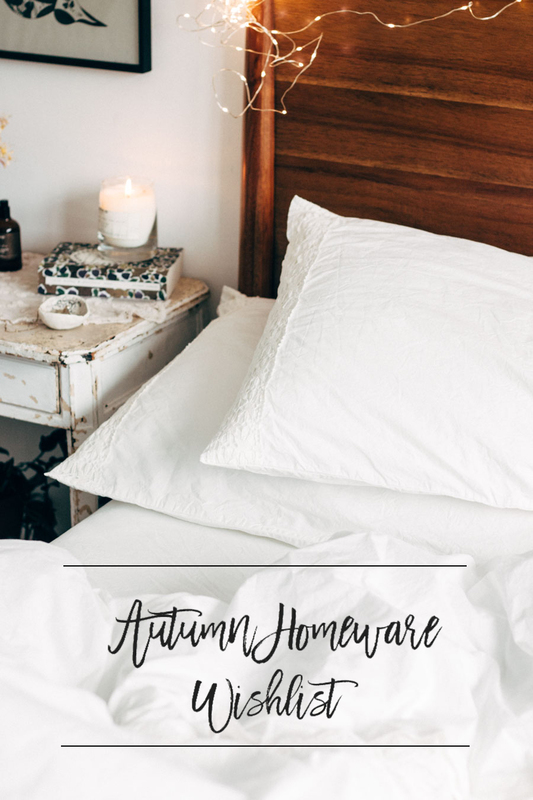 Primark are KILLING IT with their homeware range this Autumn, which is great because they're so afforable! 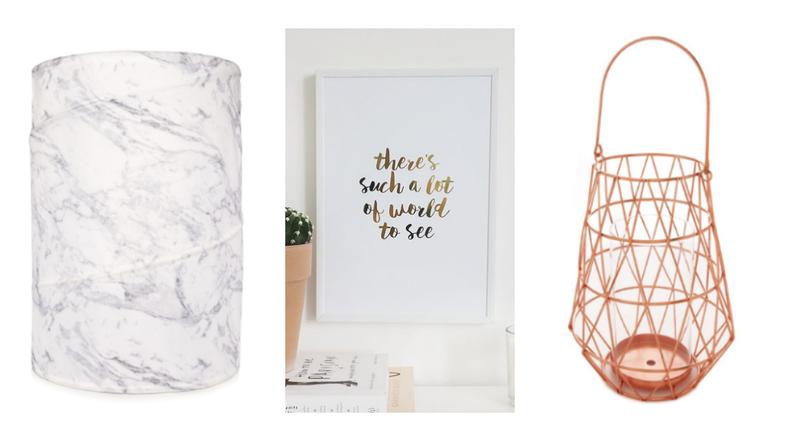 Would I be a blogger without a little copper and marble thrown in? I can see these being in trend for a long time especially with the Zoella Lifestyle release on the horizon. I'd have to pick up a couple of these copper candle holders for the fireplace that's in my room. I love that you can hang them too. You can find the marble laundry basket here for £3.50. This wonderful foiled print is from Etsy and is handmade at a really affordable price! While I was in The Range last week I spotted this fluffy bear cushion (in orange, but that wasn't on the site). I'm all about simple with some injections of colour this Autumn/Winter, so throwing a little orange and red into the mix looks gorgeous. You can find the orange filled cushion here. 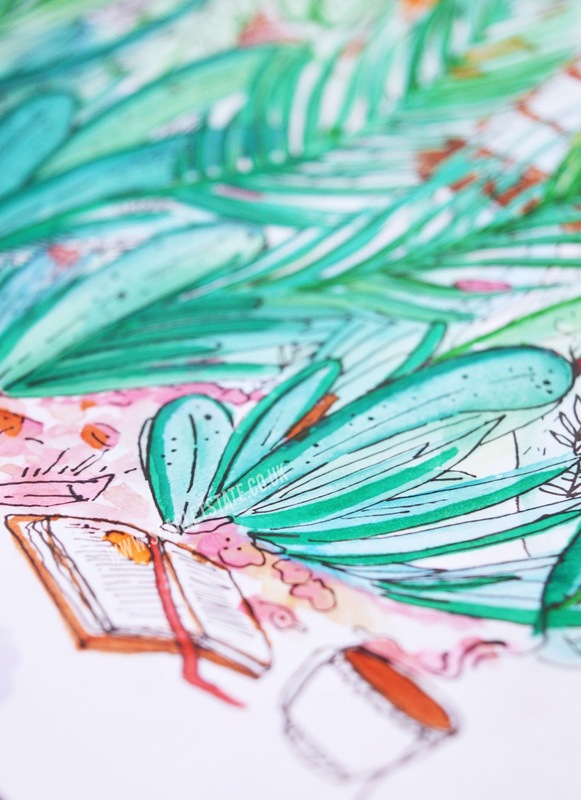 You might know if you've been reading my blog for a while that I'm a sucker for succulents and cacti. My boyfriend is too and together we have a whole family of over ten little plants which I've been meaning to put in a terrarium for so long! This glass fishbowl is a perfect size for some of my favourites, so I'd probably get this one and a smaller one for the rest. Finally, the second most expensive on the list next to the deer throw is this brushed cotton bedding. There's something so fresh and lovely about plain white bedding, though knowing me I'd spill on it within the first few days. Brushed cotton feels so luxurious but is actually fairly affordable! Really great for that luxury look for less, especially paired with a faux fur throw or copper fairy lights (which I already purchased, stay tuned for a homeware haul and house tour over on my Youtube channel). One of my favourite gals, Monami Frost has a huuuuge amazing Hollywood mirror that she built herself! 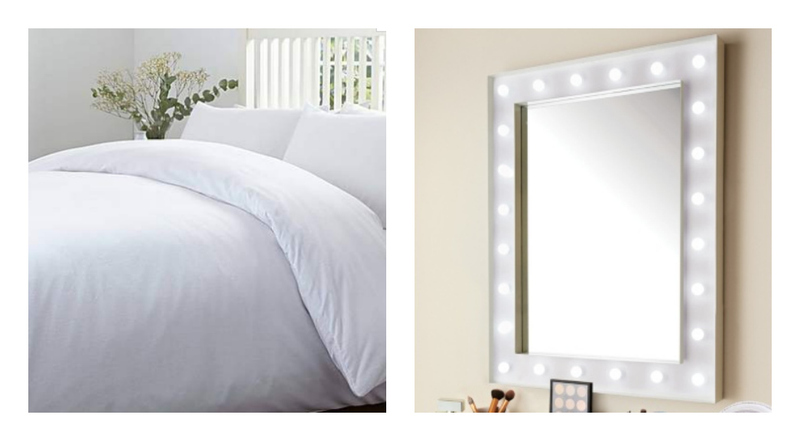 I'm not quite that great at DIY, especially when it comes to electrical so this little dressing table hollywood mirror is a great replacement at only £29.99. I feel like I'm going to need it come dark mornings when I need to do my make-up but can't see my face. I'm not sure my boyfriend will appreciate it though! Haha. What's on your wishlist for Autumn? How do you decorate your place?